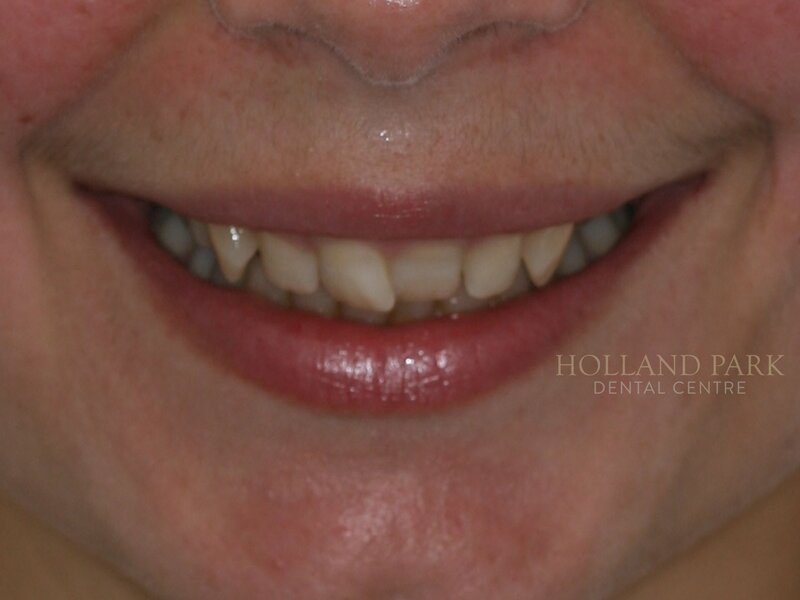 This patient wanted a wider, brighter smile but wanted to keep a natural-looking result. 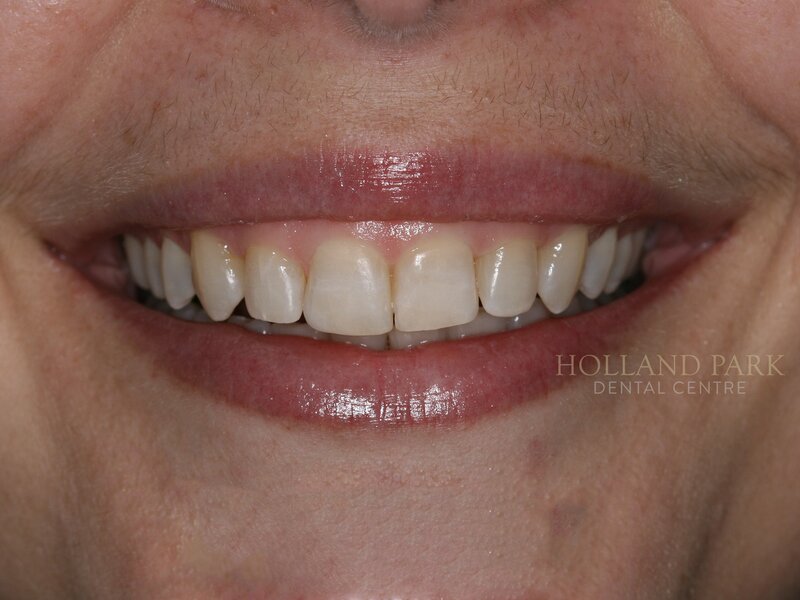 Dr Anthony Lam was able to open up her smile and perfectly align her teeth with fixed tooth coloured ceramic braces. Allowing then, Dr Shan Lam to carry out a course of tooth whitening followed by bonding and contouring the tip of her upper central incisor – creating a much more even smile line.